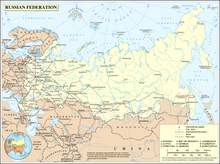 The Russian Federation, commonly known as Russia, is the most extensive country in the world, covering 17,075,400 square kilometres (6,592,800 sq mi), more than an eighth of the Earth’s land area. 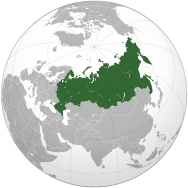 Russia is a transcontinental country extending across the whole of northern Asia and 40% of Europe; it spans 11 time zones and incorporates a great range of environments and landforms. 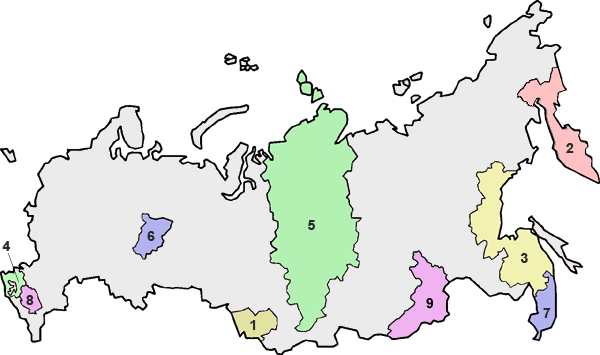 With 143 million people, Russia is the ninth most populated country. 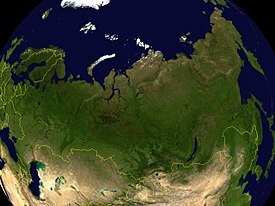 Russia has the world's largest mineral and energy resources, has the world's largest forest reserves, and its lakes contain approximately one-quarter of the Earth's fresh liquid water. 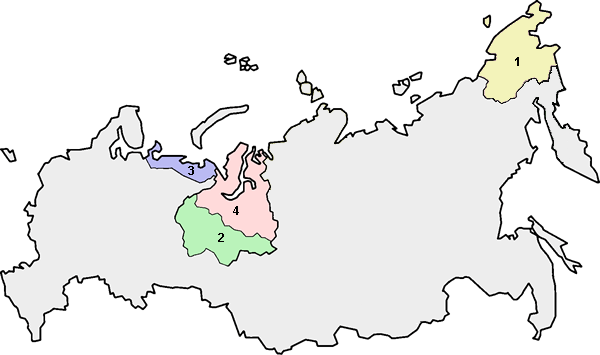 Russia has one autonomous oblast (autonomous province), the Jewish Autonomous Oblast (shaded dark blue). Russia has made its choice in favor of democracy. Fourteen years ago, independently, without any pressure from outside, it made that decision in the interests of itself and interests of its people — of its citizens. This is our final choice, and we have no way back. There can be no return to what we used to have before. 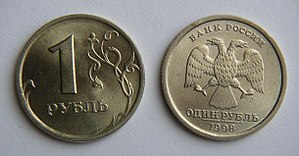 And the guarantee for this is the choice of the Russian people, themselves. No, guarantees from outside cannot be provided. This is impossible. It would be impossible for Russia today. Any kind of turn towards totalitarianism for Russia would be impossible, due to the condition of the Russian society. Vladimir Putin, statement in press release, Office of the White House Press Secretary, United States (February 24, 2005). "President and President Putin Discuss Strong U.S.-Russian Partnership"
^ a b "Russia". The World Factbook. United States Central Intelligence Agency. July 2, 2009. Retrieved July 23, 2009. 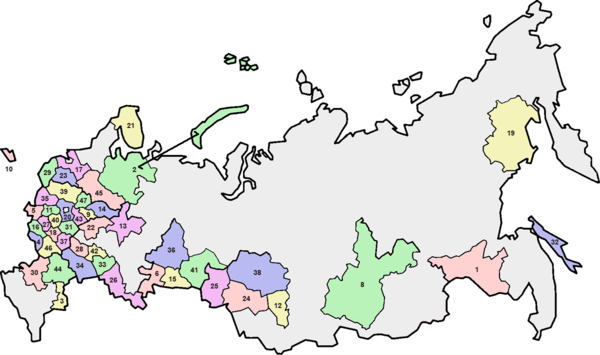 ^ a b c Russia recognizes Abkhazia and South Ossetia as independent states, thus bordering in total 16 countries, more than any other country. 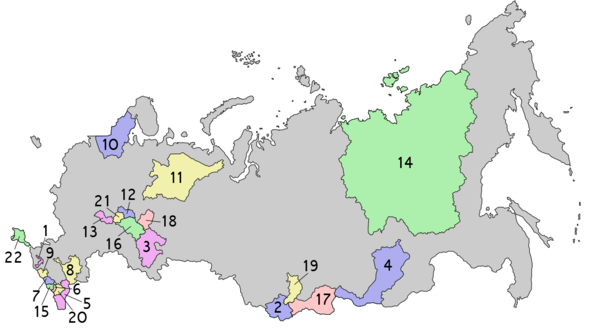 If only widely recognized states counted, Russia ties with China, each bordering 14 countries. 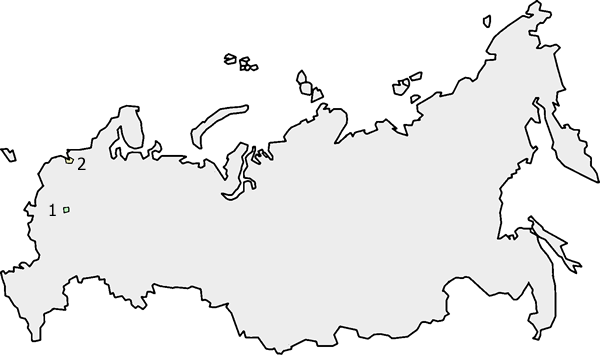 ^ Russia also borders the Caspian Sea, a remnant of the ancient Paratethys Sea. This page was last edited on 26 March 2019, at 22:02 (UTC).